Mining companies or commodities businesses have made some big gains in 14 months. And these gains could come unstuck if China sees a slowdown. 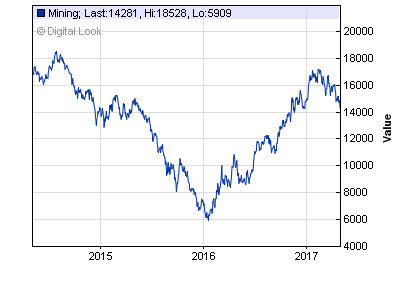 This chart shows the steady decline in the mining sector. The FTSE Mining Index has fallen by 15% since hitting a two-and-a-half year high in February. Also, Goldman Sachs downgraded ratings for several mining companies, citing Beijing is tightening its monetary policy. One reason for this weakness is the softening demand from China. Is this a data blip, whereby China would continue pumping credit into its economy? Or, could this be an end to the Chinese credit boom? To answer in full, some unrelated topics on the mining sector needs covering but plays a big role in the demand for commodities. Why China so important to mining businesses? For coal producers, their revenue stream is very much dependent on Chinese demand. 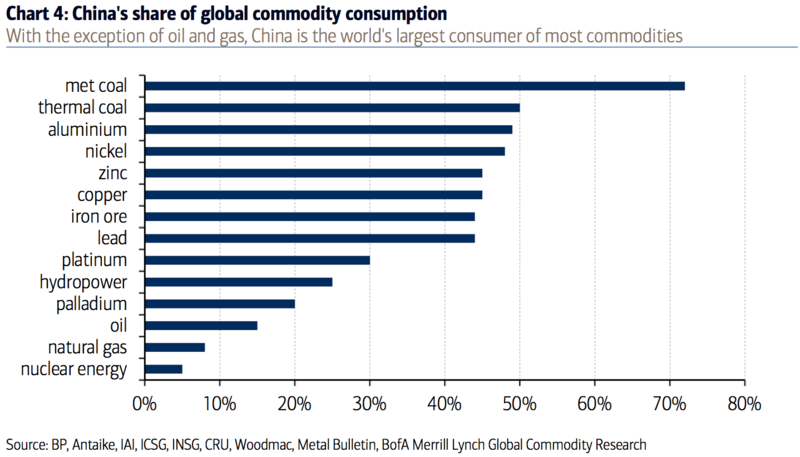 Those who mine copper, zinc, nickel, iron ore and lead are also very exposed to any Chinese slowdown. Especially the major players (See table above). The billion dollar question is when will this happen! One of the biggest factors for natural resources is its huge infrastructure projects. And the biggest is the Chinese Housing Market. The last time China saw home price decline was two years ago. And that fall of minus 5% sent commodities prices to collapse. Since the summer of 2015, the rebound in China’s home price began. Prices started to turn positive in late 2015 and peaked in late 2016 to 13%. That saved the mining industry from a series of defaults. Is the above chart signalling a decline? We don’t know until you detail further evidence. On a month-on-month basis, you could suggest a rebound, pointing to last month data! Or, it could be a blip. By reading my articles and newsletters, you agree to use the research of Walbrockresearch.com at your risk. The purpose of this site is to educate and entertain readers. In no way, we are giving investment advice though the information provided is to my knowledge accurate at the time of the report. You should do your research, or seek advice from qualified professional investment advisors.